Start with Charlie Sheen in Red Dawn. It also starred Lea Thompson... so next I watch Back to the Future which starred Michael J. Fox so after it I watch The Frighteners... etc, etc, etc. Ideally maybe even get it to end with the same person I started with... but that would be difficult at best... basically no more then luck since I have no idea how many movies I could watch within the month. That is the basic idea. Now the question is.... who should I pick to start with? And how long will I get this chain by the end of the month? It's been done here before, I think, although not sure when, by who or what it was called. Anyway, should be a fun way to get you through some random movies in your collection. That is what I am hoping. I then did a random number for the cast members. You should start with Joey Lauren Adams. In BATMAN BEGINS, acclaimed director Christopher Nolan explores the origins of the legendary DARK KNIGHT. In the wake of his parents' murders, disillusioned heir BRUCE WAYNE (CHRISTIAN BALE) travels the world seeking the means to fight injustice and turn fear against those who prey on the fearful. 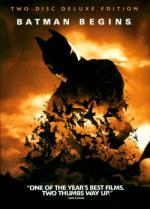 With the help of his trusted butler ALFRED (MICHAEL CAINE), detective JIM GORDON (GARY OLDMAN) and his ally LUCIUS FOX (MORGAN FREEMAN), Wayne returns to GOTHAM CITY and unleashes his alter ego: BATMAN, a masked crusader who uses strength, intellect and an array of high-tech weaponry to fight the sinister forces that threaten the city. I think they did a wonderful job on this movie I enjoyed every second of it. I especially enjoyed Michael Caine as Alfred and Morgan Freeman as Lucius Fox. I also enjoyed the Scarecrow storyline. Actually I can't think of much of anything I didn't like. It is a long movie.. clocks in at 2hrs and 19min... but you wouldn't know it while watching as time just flies by as you are watching. A great start at rebooting the series. Morgan Freeman played Lucius Fox in the previous movie Batman Begins. Set in the New York underworld where nothing is as it seems, Lucky # Slevin is an action-packed, "fun-as-hell roller coaster ride" (Venice Magazine). When down-on-his-luck Slevin (Josh Hartnett) stumbles into a running feud between the city's most feared crime bosses (Morgan Freeman and Ben Kingsley), he ignites an all-out war. Tracked by a mysterious assassin (Bruce Willis) and distracted by his flirtatious neighbor (Lucy Liu), Slevin must try to cheat death by turning the tables on the gangsters. "If you take the best parts of Pulp Fiction, The Usual Suspects and The Professional, what you get is Lucky # Slevin" (Shawn Edwards, Fox-TV Kansas City). I never even seen the trailer for this movie before today...but I have heard good things about this one. So I went into it with little to no expectations. Unfortunately I was still less then thrilled with this movie. It probably don't help that I never been much of a fan of organized crime movies. Plus I found I just didn't care about... really any of the characters. It didn't take much time at all for my attention to wander. Before I knew it... it was little more then background noise while I did other things. So I obviously didn't give it the attention it deserved... but I just found myself unable to. Besides all that... there was some scenes that caught my attention for a few moments at a time. 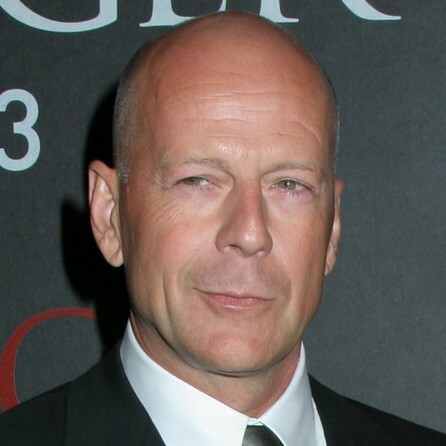 Bruce Willis played Mr. Goodkat in the previous movie Lucky # Slevin. Titles in bold are ones I never seen before. I haven't decided yet... but I am considering either Surrogates or The Whole Ten Yards. 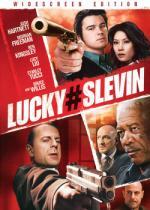 I enjoyed Lucky Number Slevin much more than you did. Out of those Bruce Willis unwatched, I think 16 Blocks is suited best for your tastes. I watched the trailer for Surrogates... and that one looked really interesting. I will check out the trailer for 16 Blocks. 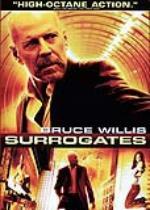 16 Blocks did look good by the trailer as well... but this time around I think I will go with Surrogates. Planning ahead to the next movie it looks like I will have an easier time finding someone for the next movie with my collection. In the not-so-distant future, where people experience life through perfect surrogates controlled from the safety of their own homes, murder is a thing of the past. But when a college student linked to the creator of these replicants is killed, one FBI agent must re-enter reality and risk his life to unravel the mystery. In the battle of technology versus humanity, who can you trust? Experience every electrifying moment of this mind-blowing movie. Based on the acclaimed graphic novel and exploding with unforgettable action, Surrogates is nonstop entertainment from start to finish! I never even heard of this movie before it was given to me this past September... and only first watched the trailer for it yesterday. The trailer looked really good to me... but I was quickly warned that I really have to pay attention to this movie as it can get pretty strange and hard to follow. But I didn't find that to be true watching it...I was able to follow it just fine. But then again... once I started watching it I was hooked. It kept my attention from beginning to the end. And I enjoyed it quite a bit. I found myself fascinated by the storyline. I can definitely see myself watching this one again. James Cromwell played Older Canter in the previous movie Surrogates. I haven't decided yet... but I am considering I, Robot... to have a little robot double feature today. Superstar Will Smith rages against the machines in this mind-blowing, sci-fi action thriller! When a scientist (James Cromwell) is found dead, robophobic detective Del Spooner (Smith) suspects an advanced robot committed the murder. According to the Three Laws of Robotics, however, a robot can't harm a human—but rules were meant to be broken! This suspenseful tale of the future questions whether technology will ultimately lead to mankind's salvation...or annihilation. This is one I never seen before today... but have been curios about since the first time I saw the trailer. I am glad I finally got around to watching it... as I enjoyed it quite a bit. It has a good, interesting storyline... and lots of fun action. I also found the characters likable. A good way to waste a couple hours. An all around fun Sci-Fi action popcorn movie. If by any chance you never seen this one before... I definitely recommend it. I can easily see myself watching this one again. 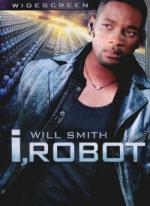 Will Smith played Dell Spooner in the previous movie I, Robot. I'll probably take this opportunity to watch Bad Boys 2 since it is the only one in the list I never seen before.